Seeking a king of your unique choosing is rejecting God—a decision that always leads to slavery. There is no other being that you can submit yourself to that will make you happy, even if that “supreme being” is you. That single decision was a monumental mistake. Israel did not want God to rule over them; they wanted a king of their choosing. And the Lord accommodated them. He allowed the people to have what they wanted. This idea of making the right choices is a bit trickier than it first appears. I suspect that when we read or listen to a story like the Israelites rejecting the Lord as their King, it would be common for us to think about similar decisions—the big ones: the significant junctures in our lives where choosing right or wrong has a more considerable impact. It is because those types of temptations are so evident and attention-grabbing that it behooves us to stop and reflect about the more subtle forms of decision-making—those “calls to action” that do not create as much angst when they first arrive on our mental horizons. What if you “settled in” for a moment while giving more reflective thought to how you function in your heart by examining some of your more mundane moments—those instances in your life that do not necessarily register on your “one of life’s most transcending events” scale? Every decision, large and small, is a moment to reflect your faith. There is a way that seems right to you, whether you are picking a king or deciding if you want to get out of bed in the morning. This passage about seeking a different kind of “king” reminds me of Proverbs 14:12 where it talks about a way that seems right to us—a way that can lead to death. It also ties into John 14:6 where Jesus spoke about being the way, the truth, and the life. It is so easy to choose a way that is not in-line with God’s way. This ties into James 1:14-15 where we learn how we can be so easily lured away by our sinful desires. Over the past few weeks—four to be exact—I have been sporadically irritable as I have been under the pressure of building a new website, plus an intimate involvement with an organizational disaster with a Christian ministry where others have asked for my insight and input. I have worked as few as 10 hours per day, while up to 18 hours per day. I suspect during that timeframe I have worked approximately 300 hours. There has been a lot of time and a lot of stress involved in this website building process and this Christian ministry debacle. This season has not been good for my family. They have sensed and experienced my frustration as I have gotten bogged down at different times in the technological and organizational morass. There have been stress points, which create lures that draw me to being brisk, demanding, or impatient in my speech. These reactions have not been good, as it does not magnify God’s glorious fame, or bless, encourage, and motivate my family to be better people. In that sense, I have been like the Israelites. They had a situation. The Lord permitted them to come to a unique crossroad in their journey with Him. There was a decision for them to make. For me, it was a choice to trust God and be kind, or to choose another king to rule my heart, which leads to “slavery to sin” and dysfunction in relationships. That is how it goes for all of us—even the simple, mundane choices that intersect our lives are contexts in which we put our true selves on display. It is in those moments where we magnify our faith as being in the Lord or in some other lesser god—a “god” that will never fully satisfy or provide shalom to our relationships. One of the striking things about this passage is how the Lord let them have what they wanted. You see this in Romans one, beginning at verse 18, and running to the end of the chapter. The Lord “gave them over” to their desires, which led to slavery to their sin. God’s Word will direct our paths in the right way (Proverbs 3:6). Spirit of God will guide us in all truth (John 16:13). A biblically-informed conscience will accuse or excuse our behaviors, attitudes, and words (Romans 2:14-15). A community of faith will come alongside us to help biblically weigh our lives (Hebrews 10:24-25). 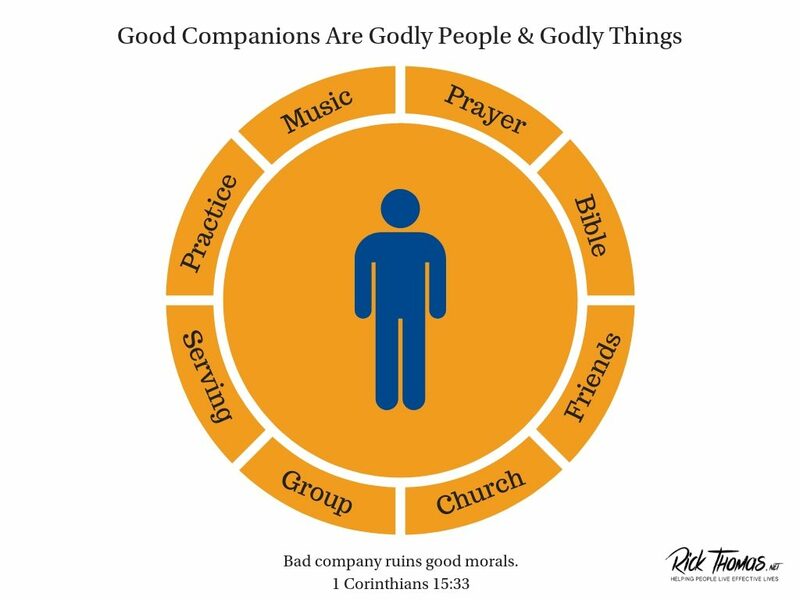 All four of these companions (1 Corinthians 15:33) must be synchronized and deployed in our lives all the time—every second of the day, to walk in a path of righteousness. This vital point is where we can so easily make a misstep, and go off track (Psalm 23:3). It is so common for fallen folks to do this. God’s Word – I can interpret and apply God’s Word to my life while in a vacuum that is sealed off from the other three essential contexts. If I choose to do this, it will alter a clearer and more objective interpretation and application of God’s Word for my life. Holy Spirit – I can give myself over to subjective experiences that are devoid of the Spirit’s illuminations while attributing those impressions to the Spirit of God’s work in my life. In such cases, those directions from the Spirit will always be to my advantage. They will be desirable directions rather than outcomes that could prove to be less cooperative to my cravings for comfort and control. For example, I probably would not perceive the Spirit of God leading me in a “direction” that took me to a cross, a dried-up brook (1 Kings 17:7), or a dead Savior. This tension is one of the main reasons why we must weigh our thoughts and desires by the other three elements—God’s Word, a biblically-informed conscience, and a community of faith. The Lord may want to crush you (Isaiah 53:10; Luke 22:42; John 12:24; Philippians 1:29; 1 Peter 2:21). In almost every case our “subjective impressions from God” are things that we perceive to be good for us. Outcomes that lead to our liking is not how the Lord operates all of the time. A person with a weak “theology of suffering” will never be able to see the broader scope of the Lord’s dealings in their lives. This reality is why we need more than “impressions” from the Spirit. Conscience – Any of us can easily excuse our thoughts (Romans 2:14-15), deeds, attitudes, or words, especially if our primary desire is to avoid situational difficulties or relational conflict. As Paul taught, we can train our consciences to “accuse or excuse” ourselves, even to the point of hardening (1 Timothy 4:2) our “inner voice” to believe a lie instead of the truth (Romans 1:25). For example, in a typical relational conflict, our first defense is to defend ourselves rather than to think charitably about the other person. Though we should be biblically suspicious of our own “ways” (Proverbs 14:12), that is not how we generally roll. Matthew 7:3-5 will nearly always be reversed (the log will be in their eye, while I will be the “proud” owner of the speck). We can be so tenaciously loyal to ourselves, which leads to quickly letting ourselves off the hook while hanging the other person on the hook. Community – All people struggle with fear of man in some way, to some degree. The place where this reality awkwardly ties into the context of decision making is when people are hesitant to speak “their true minds” into our lives. It is incumbent on all of us to create necessary expectations of “loving-truth-telling” in our relationships. We must give our friends “permission” to be honest, open, and transparent with us, while we position our hearts to be vulnerable, and our true selves to be accountable to their care. It takes a lot of work to establish these kinds of redemptive relationships, which only heightens the need for our proactivity and intentionality in developing them. Love will speak the truth because to flatter is not love at all. Faithful are the wounds of a friend (Proverbs 27:6). Love will be kind, not harsh, always seeking to build up the other person when you talk to them (Ephesians 4:29). Do you typically “surround” the decisions that you make with these four companions? Do you see how not doing this proved to be disastrous for the Israelites? Which one of these four safety measures would be “weak links” in your typical decision-making process? When you think about the four elements that are necessary for clear-headed thinking, direction, and living, which one would you consider to be the most challenging to you? God’s Word? Spirit of God? Your conscience? Your community? What causes the most angst or fear in your soul as you think about them? Which ones do you tend to avoid when it comes to making a decision? 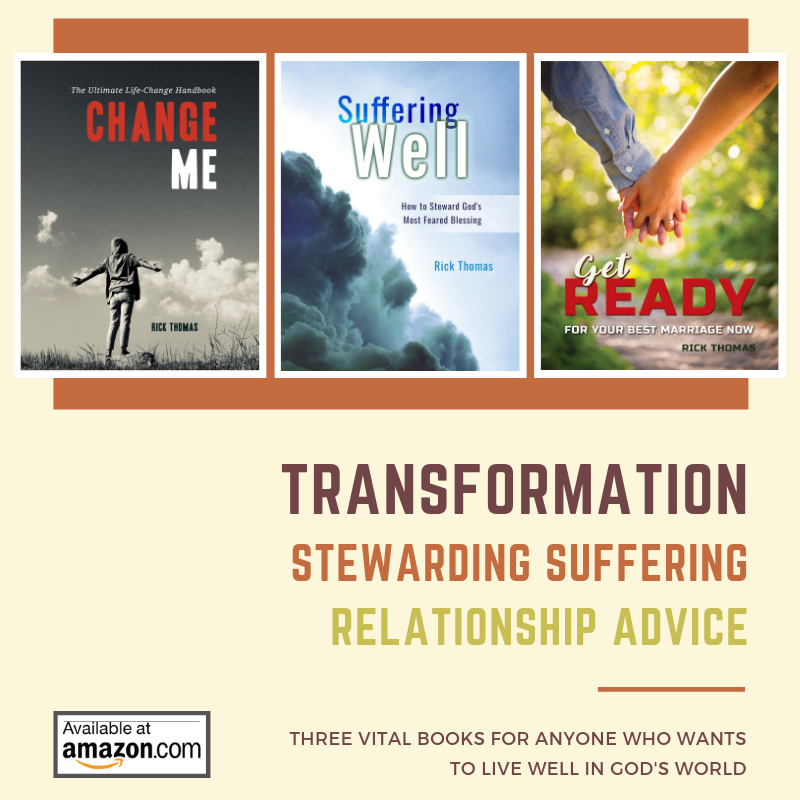 How do you need to change your life to gain a better posture before the Lord and before your friends regarding these four elements? What specific thing will you do this week to change? « Should Your Child Go to College?